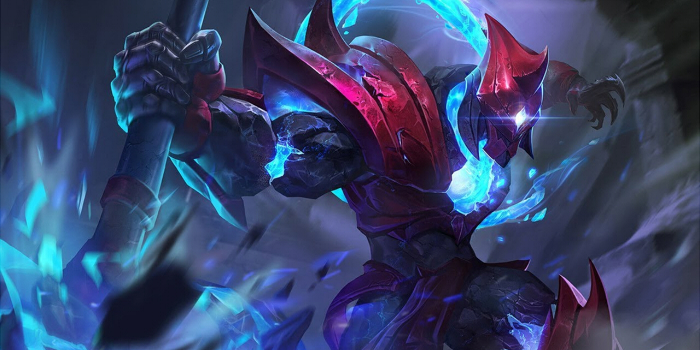 Arduin Item Builds Guide for Arena of Valor (AoV). Each build is geared toward a different play style, so choose one that fits your personal preference. These items are necessary in order to play Arduin optimally. Only diverge from a core item if you are a very experienced player or you have a very good reason for doing so. Frost Cape Frost Cape provides Arduin with some tankiness and an extremely useful passive. The extra damage and slows that he will be able to throw out through the item will make him a much more effective bruiser. Fenrir’s Tooth Fenrir’s Tooth may seem like an unconventional item for Arduin, but the damage it offers can’t be ignored. Arduin’s abilities will hit like a truck, each scaling rather well with attack damage. Mantle of Ra Mantle of Ra is a great bruiser item, offering the wearer armor and attack damage. In addition, it deals damage to enemies near the wearer, softening up enemies engaged with enemies and the wearer’s target alike. Spear of Longinus Spear of Longinus gives both health and attack damage while also allowing the wielder to shred through their enemies’ armor. It is a decent hybrid item that will help both Arduin and his allies deal with tankier foes. Ancestral Glory Ancestral Glory is initiator’s insurance. It will allow Arduin to more recklessly absorb enemy fire for his team. After getting back up, he can rejoin the battle with his team. Mail of Pain Mail of Pain can help Arduin deal with auto attacks from ranged enemies. The damage it reflects will punish any who mindlessly hit you. This will either make you a less desirable target for them, maximizing the time that you can contribute to team fights, or make them much easier for your teammates to deal with. The Aegis Offering tons of armor and utility, The Aegis is a very valuable item. It offers great amounts of protection both through the armor it provides and its passive, the shield slowing anyone that attacks the wielder. In addition, it offers a tremendous amount of cooldown reduction, allowing the user very regular use of their abilities. This can be a great pick for Arduin when bothered by marksmen or normal-attack-reliant heroes. Shield of the Lost Shield of the Lost can be used to slow down the attack speeds of nearby heroes. Arduin’s place in the middle of fights allows him to spread the effect around the enemy team. The item also offers both armor and HP, toughening Arduin up. Medallion of Troy Medallion of Troy is a great pick up when the enemy team is heavy on magic damage. The item provides flat amounts HP and magic defense as well as an impressive shield to further protect the wearer from magical harm. If that wasn’t enough, the item also gives a nice bit of cooldown reduction as a bonus. Hyoga’s Edge Hyoga’s Edge grants armor, magic defense, and HP. This is a well-rounded defensive item that also improves the holder’s capability of chasing enemies down. Gilded Greaves Gilded Greaves reduces the amount of time the wearer spends affected by crowd control and thereby an essential item for initiators. The boots also give some magic resistance, making Arduin much more capable of shrugging off magic damage. Sonic Boots Sonic Boots can be a good choice when dealing with damage heavy teams, offering both armor and damage reduction to normal attack damage. This damage reduction affects any bonuses that the enemy’s attack might have, making the item particularly useful when facing heroes who rely heavily on normal attacks. The primary way to play Arduin is as a bruiser, what we strived for here. The items present offer a nice mix of offensive and defensive stats and utility. Mantle of Ra and Spear of Longinus offer attack stats directly along with their defensive bonuses, while Gaia’s Standard, Frost Cape, and Mail of Pain do so a bit less directly through their special effects. The items together will make it easy for Arduin to chase his targets and lock them down, heavily punishing whomever he sticks to. This build turns Arduin into a much more durable, albeit less aggressive, force on the battlefield. Each item boosts his overall survivability, providing 830 armor, 360 magic defense, and 5170 additional HP. All of this will make Arduin very hard to tear down, allowing him to keep enemies locked in place with his abundance of control abilities. Not the fastest at clearing lanes, but Arduin’s abilities make him an adequate ganker and thereby a jungling candidate. Due to his abilities’ base damage, he can focus on building up tank items to improve his team’s front lines. He will start out ganking lanes with his ultimate while keeping the prey in place with Rend. As the game moves on, Arduin will have to shift into acting purely as a bruiser to maintain relevance in fights.